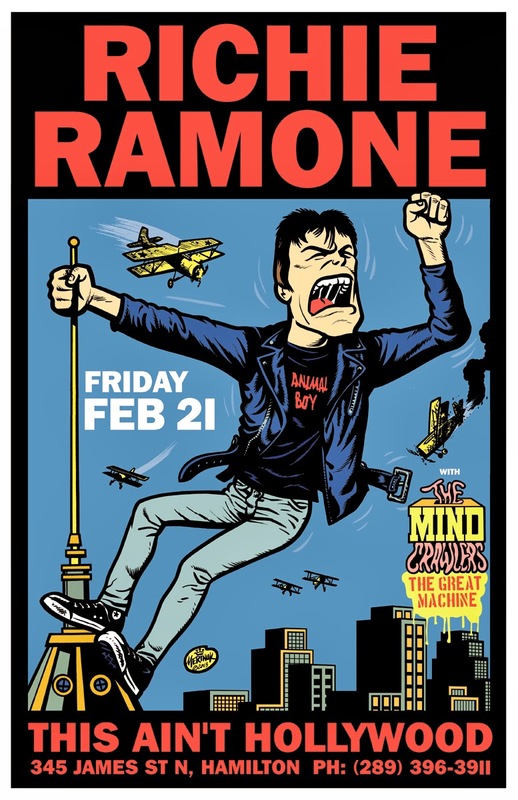 Poster for an upcoming Canadian show by Richie Ramone. Somehow or other I had never done any kind of artistic tribute to my favorite movie King Kong (the 1933 version, of course), so now that's taken care of. Got a backlog of stuff to post in the next few days so... Stay tuned for MORE ACTION!